We’ve received a number of messages and emails this weekend about the text of a possible upcoming Executive Order from President Donald Trump and we’re going to dedicate this article to the text of that possible E.O. as it has been released. According to TTAG, the possible text of the E.O. is from Virgin Attorney Lenden Eakin. First let me say I don’t believe there is anything purposefully nefarious about the E.O. or it’s intentions but like anything we must be wary of unintended consequences as well as precedence. In order to understand my objections and what we could do improve this possible E.O., we must set the stage and history of Arms in America. 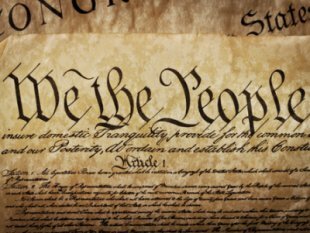 Before going any further, the absolutely most important thing to understand is the Bill Of Rights contained in the United States Constitution does not grant or give any rights. What the BOR actually does is ENUMERATE some of the Rights of The People. Remember The People CREATED the Federal Government. 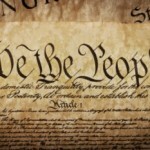 The People, as well as the founding documents such as the Declaration of Independence and Articles of Confederation and The States, existed PRIOR to the current Federal Government and Constitution. The created cannot be more powerful than the creator. In 1787 when the Constitution was written and the BOR was drafted the Second Amendment did not say “knives, swords, bayonets, canons, blunderbuss, handguns, muskets and 30 shot Girardoni air rifles”. It said “Arms”. Period. Some people may have just read “30 shot Girardoni air rifle” and thought I mis-typed. No I did not. The Founding Fathers were well aware of the Air Rifle that would help get the Lewis and Clark Expedition across the wilds of America. It was designed in 1779 and a number of them were actually ordered for the first US Army but ultimately cancelled due to their costs. The Girardoni held 20 rounds in a tubular magazine with an effective range of 125 yards and could fire 30 rounds on a single fully charged air tank. “Assault rifles”, to use that horrible misnomer, existed in 1787. Be sure to explain that to the next chowder head who tries to claim only single shot muskets are covered by the Second Amendment. Furthermore the Founders knew as technology progressed so would weaponry and that is precisely why they didn’t place accidental limits on arms of the future by writing for only arms that existed at that moment in time. Now that we have set the stage for my objections and what could be done to vastly improve this possible E.O. let’s begin. Note is doesn’t say the people are given the right, which would make it a privilege, it reaffirms the EXISTING Right that predates the Constitution and BOR. This is a crucial distinction. Definitions: A, B, C, D and E I’ll leave for someone else to focus on but I will say that (e) could nullify provisions in some State laws that prohibit “paramilitary training” or Citizens training with firearms in groups. This would definitely be a positive thing. (f) “Militia Rifles” shall mean the firearms designated in Section 4 that are made in America and suitable for use in self-defense, community defense, defense of States and defense of the Nation. I own significantly more firearms made in the USA than any other country but some folks can only afford a $100 mosin nagant or a $200 Yugo SKS so I take issue with “Made In America” verbiage. The other glaring issue I have with this definition is “suitable”. Suitable according to who? Under what standards? Remember the Second Amendment is only 27 words long and every piece of it is dissected when it’s meaning is more than evident. Section 4 is where the meat of the E.O. is located. It lists some rifles by name, such as the AR-15, M1A and M1 Garand as well as certain calibers and bolt action rifles. Luckily it does include “and similar style rifles” after AR-15 but exactly how similar? The glaring issue is the what most proponents from less than free States like California seem to happy about: “magazines of up to thirty round capacities” for AR-15 rifles and “magazines of up to twenty round capacities” for M1A’s. While this E.O. wouldn’t ban magazines over those rounds it does set a dangerous precedent that some size magazines are more suitable than others. Can you imagine if “up to 8 round clips” were written when the Garand was the prime rifle of it’s day how that would be interpreted today? Interesting, because today the US Military uses shotguns, including barrels of various lengths, for use on various military bases and for other purposes today. Also of interest to note, my FN PS90 has a standard capacity of 50 rounds. 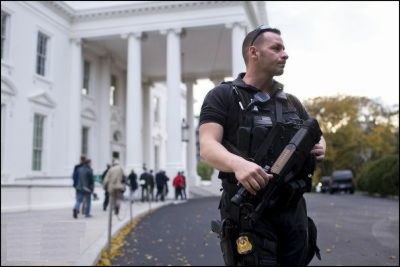 The Presidents Secret Service utilizes P90’s (the select fire version of my PS90), among others, to defend the President and has for years. Would the PS90 be covered as a “Militia Rifle”? I understand where they are coming from with this and there is some merit in a possible Executive Order to stop the violation of peoples Right in certain States but we must be careful to word any such actions appropriately and stand the “test of time”. In the future, be it 100 years or 1,000 years from now, laser pistols and light sabers may become a reality, heck I’m sure there are things we haven’t even imagined yet. Could you imagine living today and being limited to muskets? How about in 500 years and being stuck with 30 round AR-15’s and 20 round M1A’s? It’s crucial that “broad definition” be as absolutely as board and encompassing as possible and also take into account advances in weaponry as the years progress. The Founding Fathers were extremely smart people and forward looking, we must try and follow their examples where ever we can. 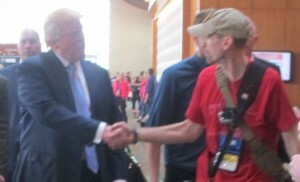 13C meeting with then Candidate and future President Donald Trump. For the article with Donald Trump take on AR-15’s click HERE . Section 1. Purpose. Both individual and community safety are critically important to the national security of the United States. Terrorism, transnational criminal activity and potential acts of war by foreign nations present a significant threat to national security and our citizens, who have the right and the duty to defend themselves, their communities, their States and the Nation. (a) Support and defend the Constitution, including the Second Amendment right of citizens to keep and bear arms for Militia purposes,as well asself-defense. (b) Encourage citizens to be prepared to act as members of the Militia to defend communities, States and the Nation, as part of the common defense contemplated by the Constitution of the United States. (c) Discourage restrictions by States and political subdivisionson individual possession of firearms suitable for Militia purposes by citizens of the United States. (a) “Militia” has the meaning given the term in Title 10, Section 311 of the United States Code to include the Unorganized Militia, as well as the meaning given to the term “Militia” under equivalent State statutes. (b) “Self-Defense” shall mean the actions of citizens to defend themselves and their families from physical attack. (c) “Communities” shall mean neighborhoods, towns, cities, counties and other political subdivisions of citizens who live in distinct geographic areas within a State. (d) “State” shall mean one of the fifty States of the United States. 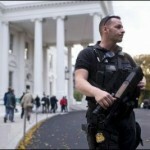 (e) “Militia Purposes” shall mean training, practice and preparedness which could improve the ability of a citizen to act,and to be armed in case of a need to act, as a current or future member of a local, State or National organization commanded by government officials and responsive to a physical threat. 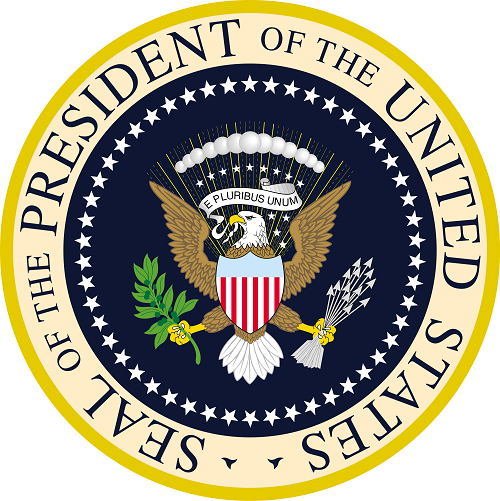 Appropriate organizations include those commanded by an elected county or city Sheriff; those commanded by the Governor of a State through officers of that State’s Defense Force as authorized by Title 30, Section 109 of the United States Code, or through officers of that State’s National Guard;and organizations commanded by the President through officers of the Active or Reserve components of U.S. Armed Forces. (a) The AR-15 and similar semi-automatic rifles, to include flash suppressors and bayonet lugs, magazines of up to thirty round capacities, M-7 bayonets, and ammunition in 5.56 NATO or .223 Remington, in all quantities. (b) The M1A and similar semi-automatic rifles, to include flash suppressors and bayonet lugs,magazines of up to twenty round capacities, M-6 bayonets, and ammunition in 7.62 NATO or .308 Winchester, in all quantities. 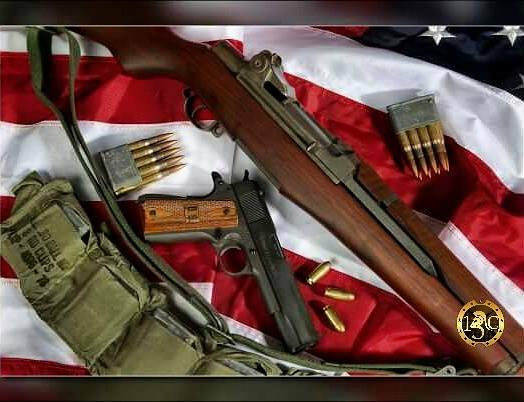 (c) The M1 Garand and similar semi-automatic rifles, to include flash suppressors and bayonet lugs, M-5 bayonets, and ammunition in.30-’06 Springfield, in all quantities. (d) Bolt action rifles in the calibers of .30-’06 Springfield; 7.62 NATO or .308 Winchester; 5.56 NATO or .223 Remington; or any substantially equivalent caliber, and ammunition appropriate for the rifles, in any quantity. Section 5. Pre-emption. 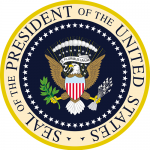 This Executive Order is intended to pre-empt the laws of States or political subdivisions that infringe upon the rights of citizens to keep and bear the arms designated in Section 4. Section 6. Judicial Notice. That the judges of all State and Federal Courts are hereby given notice that possession of the designated Militia Rifles and accessories by citizens should not be restricted or infringed upon by State laws or the laws of a political subdivision of a State and any such law should be reviewed under the strict scrutiny standard to determine whether it is a violation of the Constitution of the United States after judicial consideration of this Order and the fact that it was issued by the Commander in Chief of the Militia.